Are you in need of a vacation? Who isn’t?!? I teamed up with a bunch of other bloggers to offer you a chance to win a Walt Disney World trip. Right now, through May 20th, you can win a 3 night Walt Disney World resort vacation for a family of 4 (2 parents and up to 2 children) and 2 days with of Disney World theme park tickets! The winner will receive a Deluxe Studio villa at either Saratoga Springs, Old Key West or Boardwalk (based on availability at time of booking). I have always wanted to stay in a villa and here is your chance to win a 3 night stay! The winner is responsible for their own transportation to and from Walt Disney World. As a part of EverydaySavvy’s 25 days of gift ideas lists, we are giving away a Silhouette Cameo Machine valued at $269.99 (sponsored by Silhouette America). If you have not checked out our many gift ideas for kids, tweens, teens and adults of all ages, we have so many great great lists to help you do your holiday shopping this season. If you are looking to save money on gifts this season, we also have an EverydaySavvy Facebook Deals group to help you this holiday season. Silhouette America also has a really great Black Friday Sale coming up that starts on Thanksgiving night. 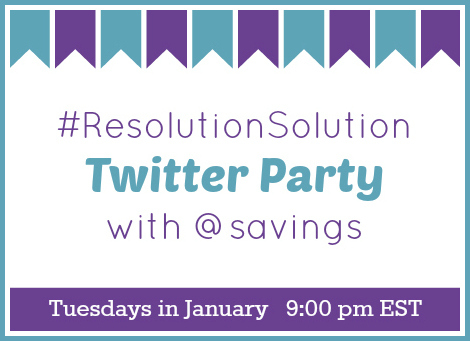 Come back to EverydaySavvy on Thanksgiving night to get a coupon code for this awesome sale. 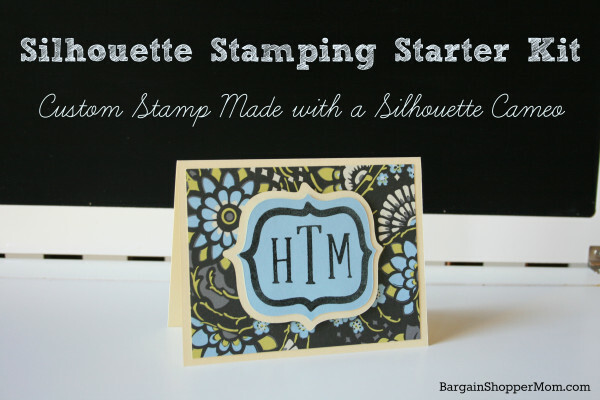 If you are a crafter, the Silhouette Cameo Electronic Papercutter is a must-have machine. It uses digital images from your computer and uses a small blade to cut paper, vinyl, vellum and fabric. It can cut up to 12 inches and 10 feet long. Just plug this machine into your computer and use the included software to start crafting! What sets this machine apart is it’s ability to print and cut. 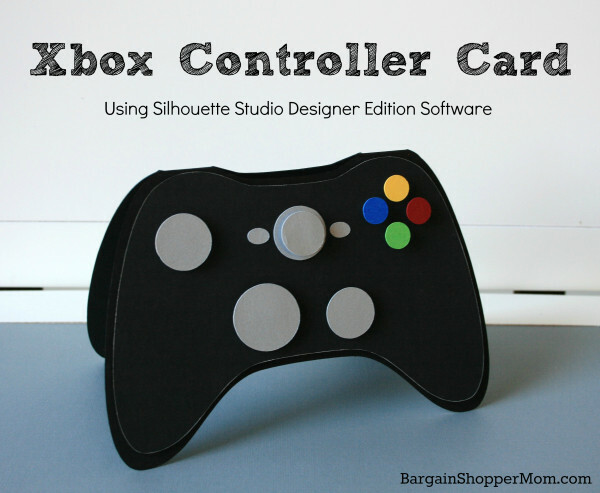 You can design a label on your Silhouette Studio Software and print it on your home printer. The Cameo has a special sensor that tells it how to cut around your label after it’s printed on your home computer. So cool! 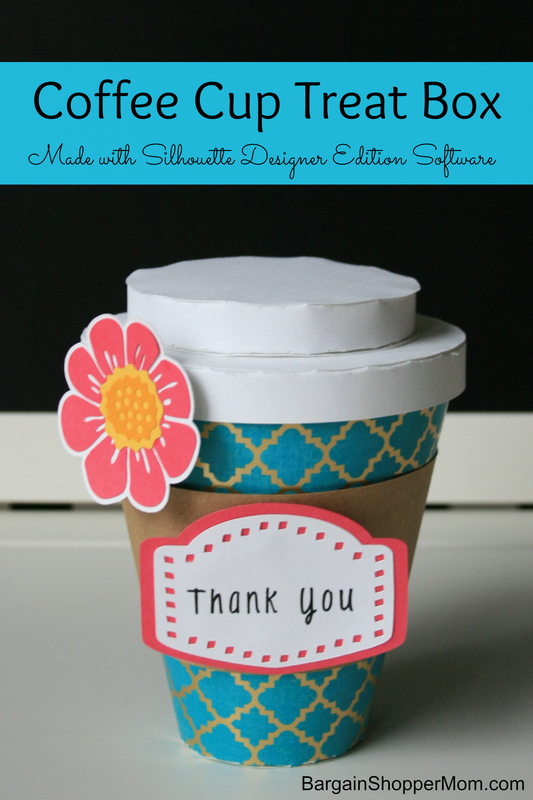 I have made so many amazing things with my Silhouette machine. One of my favorite things to do with my Silhouette is to make projects with vinyl. If you need information about how to use vinyl with your Silhouette machine, then you will want to read our post: Vinyl for Electronic Cutting Machines: Tips and tricks. If you need gift ideas this holiday season, check out our great gift ideas for the entire family! 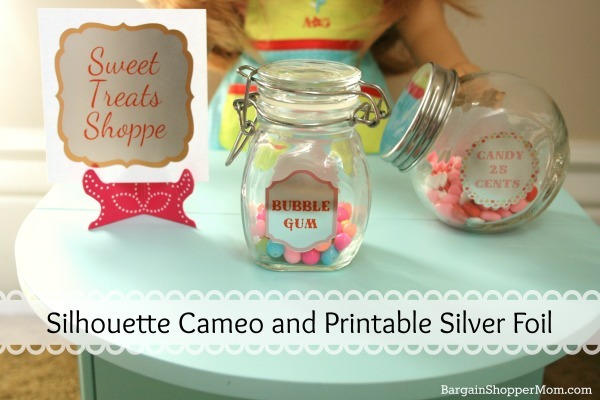 EverydaySavvy is so excited to be giving away a Silhouette Cameo machine, sponsored by Silhouette America to celebrate their upcoming Black Friday sale. 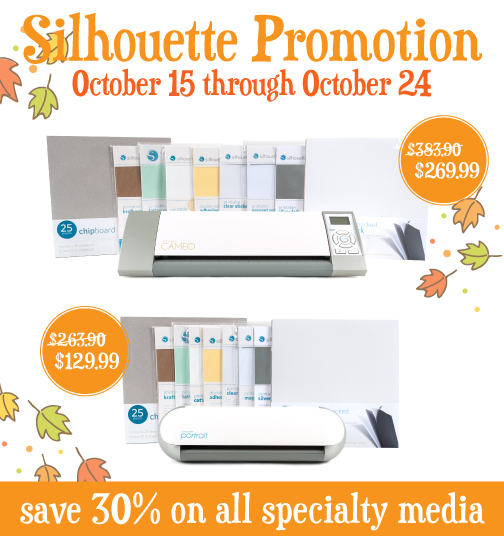 On November 25th, one lucky reader will be chosen by our Rafflecopter to win a Silhouette Cameo Machine valued at $269.99. Entries will be accepted now through November 25, 2015 at midnight, EST. Scroll down to submit your entries via the EverydaySavvy Rafflecopter. This is a sponsored post by NESTLE Coffee-mate. All reviews and opinions expressed in this post are unbiased and based on my personal view. This prize was provided by NESTLE Coffee-mate, but NESTLE Coffee-mate is not an administrator or connected in any other way with this giveaway. Coffee-mate has a new partnership with David Bromstad with the launch of two limited-edition Coffee-mate bottles exclusive to Target. The limited edition bottles feature creative wrappers designed by David Bromstad with the theme “The Art of a Fresh Start” for Coffee-mate’s French Vanilla and Hazelnut flavors. They help bring a little something extra special to your morning coffee. Sometimes we get busy and forget that every morning’s a blank canvas. A chance to do something new. Dream something big. See something beautiful take shape. These exclusive Coffee-mate bottles bring some beauty to your morning and you can get them at Target for no added cost. I love that! It is so nice to have beauty even in the little things like your morning coffee. The limited edition bottles are sold exclusively at Target store’s nationwide July 5 through Sept. 5, 2015. There are 4 designs in total (2 of French Vanilla and 2 on Hazelnut), all with a flower packaging motif. I know you can’t go to Target and just get Coffee-Mate so we are giving away a $200 Target gift card so you can try the new limited-edition Coffee-mate and pick up those other necessities! This giveaway is live on Instagram just click over and enter today!! Giveaway ends on July 28 at 10 pm PST. This giveaway is not sponsored by, endorsed by or associated with Instagram. The Bullseye Design, Target and Target GiftCard are registered trademarks of Target Brands, Inc. Terms and conditions are applied to gift cards. Target is not a participating partner in or sponsor of this offer. This post and giveaway are sponsored by Outback Steakhouse. All thoughts and opinions are my own. I have always loved steak every since I was a little girl and so does the rest of my family. My oldest daughter ate steak every single night on our Disney cruise. That is why heading to Outback Steakhouse works well for our family especially since it is affordable to even buy my 13 year old a steak for dinner off the adult menu. Plus I love that with click thru seating it usually means little to no waiting to be seated. Outback Steakhouse recently added some yummy new items to their menu that we wanted to try out. These include the Wood-Fire Grilled Flat Iron Steak and Victoria’s Filet Portabella. Available in eight different cuts, Outback’s Signature Steaks can either be seasoned and seared with a secret blend of 17 spices on the flattop grill or wood-fire grilled for a delicious natural flavor – of course in true Outback spirit, guests can request their steak any way they want! In addition to the new steak entrees, Outback is unveiling new Premium Sides, including Steakhouse Mac & Cheese, Loaded Mashed Potatoes, Broccoli and Cheese and Parmesan Fries that are sure to quickly become customer favorites. Did you know that America has yet to unveil an official national food? The French are synonymous with the baguette, Italians have a claim on pasta and Belgium has ownership over chocolate. Outback Steakhouse is launching a nationwide petition to make steak the first official food of the U.S. and urging fellow steak loving fans to rally behind the cause. To show their bold love for steak, fans can sign the petition here. If you’re interested in trying out the great new offerings from Outback, then you’re in luck. I’m giving away a $50.00 Outback gift card, so you can experience their Bold at Steak campaign and all its flavors for yourself! This giveaway is open to US residents and ends on June 22, 2015 at midnight EST. What do a Madsen Bicycle, $1,000 Amazon Gift Card and a $1,000 Sephora Gift Card have in common? Well nothing exactly, except they are the prizes in a new Jane giveaway. These are some awesome prizes. Imagine what you could buy with $1000 gift card! I have teamed up with Jane as one of their official partners and when you enter my code MELISSA8535 each day you can get an additional 5 entries to win!!! I would love to have an Everyday Savvy reader win. Jane is one of my favorite spots to shop for fun accessories, home goods and clothing. If you haven’t checked them out yet, you are missing out! We recently were asked to try out Simply Juice Drinks which is a new line from makers of Simply Orange and Simply Lemonade. This premium line of refreshing juice drinks is available in three delicious flavors: Fruit Punch, Tropical and Mixed Berry. I found them at Target next to other Simply Beverages in the refrigerated section. All three great-tasting flavors are available in a 59-fl. oz. multi-serve bottle, with Fruit Punch and tropical also offered in a convenient, grab-and-go, 11.5-fl. oz. single-serve bottle. My girls were begging to try them and I have to admit they looked pretty tasty to me too. I love that Simply Juice Drinks are made with simple, all-natural ingredients, including real fruit juice and there are no added preservatives, colors or artificial flavors. That makes it easier for me to enjoy them and feel good about giving this drink to my kids. This prize was provided by Simply Beverages, but Simply Beverages is not an administrator or connected in any other way with this contest. Enter below to win! Good luck! Disclosure: Thanks to my friends at Simply Beverages for hooking me up with some free product to try and other free items to help them promote this product launch. Door to Door Organics has teamed up with the Detroit Zoo to create a fun, colorful cookbook filled with 10 wildly healthy recipes. It is called Rezoopies® and you can download it for FREE! It will help you tempt your kids into eating healthy fruits and vegetables, just like their favorite animals. With this cookbook for kids, it’s easy to lure your little animal lover into the wild kingdom of healthy eating. It’s packed full of fun animal facts and photos, plus yummy Rezoopies® like Pita-Roos, Chimpanzee-licious Pasta, Porcupine Pick-ups, and more! At last, fewer “bear-ly” touched plates and growling tummies—just roaring for more healthy Good Food. Cook together, eat together, and enjoy inspiring good eating habits that will last a lifetime. If you are new to Door to Door Organics, you can use the promo code: DETROITZOO to receive $10 off your order. This is a great offer to try them out. Healthy food delivered to your doorstep. Gotta love that! The Detroit Zoo and Door to Door Organics is also offering a reader of Everyday Savvy a 4 pack of tickets to Wild Lights at the Detroit Zoo! Experience the magic of the Detroit Zoo in winter as you take in the lights and the sights with more than five million LED lights that will illuminate trees, buildings and more than 100 animal sculptures throughout the front of the Zoo. 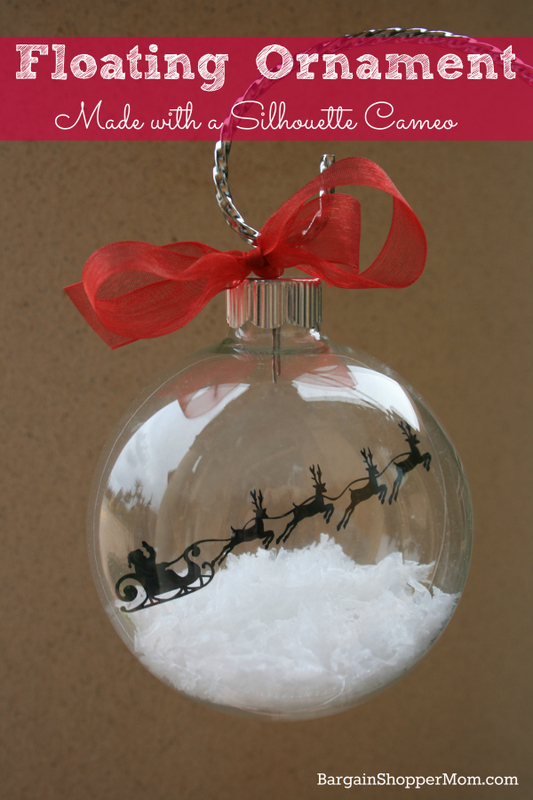 Guests can enjoy a variety of activities including a craft, carolers, ice carvers and can even write a letter to Santa. The Detroit Zoo also invites guests go on an extraordinary adventure in the Wild Adventure Zone with “The Polar Express 4-D Experience” at the 4-D Theater. Enter to win tickets below. It is so easy to enter just click the easy entry button! This is a quick giveaway so we can get the tickets to you and you can enjoy Wild Lights at the Detroit Zoo! Discloure: This post was sponsored by Door To door Organics and the Detroit Zoo. All thoughts and opinions are my own. Outback Steakhouse opened its newest restaurant location in Livonia, Mi this Wednesday, November 12, 2014. In celebration and to give back to the community, they will be hosting a charity day on Monday, November 17th, 2014. On this day a portion of the restaurant’s sales will benefit the American Cancer Society, Livonia Chapter. This would be a great day to check out the restaurant and support a great charity! For more than 100 years, the American Cancer Society (ACS) has worked relentlessly to save lives and create a world with less cancer and more birthdays. Together with millions of our supporters worldwide, the organization helps people stay well, get well, find cures and fight back against cancer. The new restaurant will serve lunch daily and will be the first in the Livonia area to feature a new “Modern Australia” design both inside and out. The “Modern Australia” design with décor that mirrors the indigenous flora and fauna, adventure, geography and leisure of modern day Australia. Guests will also enjoy a spacious, energetic bar area that includes a community table – a great place to meet up with friends and enjoy specialty beer, wine and hand-crafted cocktails. The new bar will also feature customized seating and furnishings and is connected directly to the outdoor dining patio. Outback is best known for grilled steaks, chicken and seafood but also offers a wide variety of crisp salads and freshly made soups and sides. I have been following a Whole30 diet recently and was very happy the Outback could easily work within my dietary restrictions. I selected an Outback Special steak (grilled with no butter) , sweet potato no butter, and steamed veggies with no butter. It was so nice to have a night out and not worry about breaking my Whole30. The Livonia Outback Steakhouse® is located at 13010 Middlebelt Rd, Livonia, MI 48150 and is open from 11 a.m. to 10 p.m. Monday- Thursday, 11 a.m.-11 p.m. Friday- Saturday, and 11 a.m. – 9 p.m. on Sundays. For on-the-go guests, Curbside Takeaway is available by calling the restaurant or placing your order online. This is great for busy nights! You can also get on the waitlist right on www.outback.com or use call-ahead seating by calling the restaurant at 734-421-0220. This is so helpful especially dining with kids. We did this when we visited Outback last week and we were seated within 5 minutes of arriving. I think all the guests were wondering how we got special treatment. For more information about Outback Steakhouse®, please visit www.outback.com, https://www.facebook.com/outback or follow them on Twitter @Outback. To help celebrate this new Livonia restaurant and the charity event, we’ve partnered with Outback Steakhouse® to offer one (1) Everyday Savvy reader a yummy meal or two at any Outback location around the country. Disclosure: This post and prize was sponsored by Outback Steakhouse. All thoughts and opinions are my own. 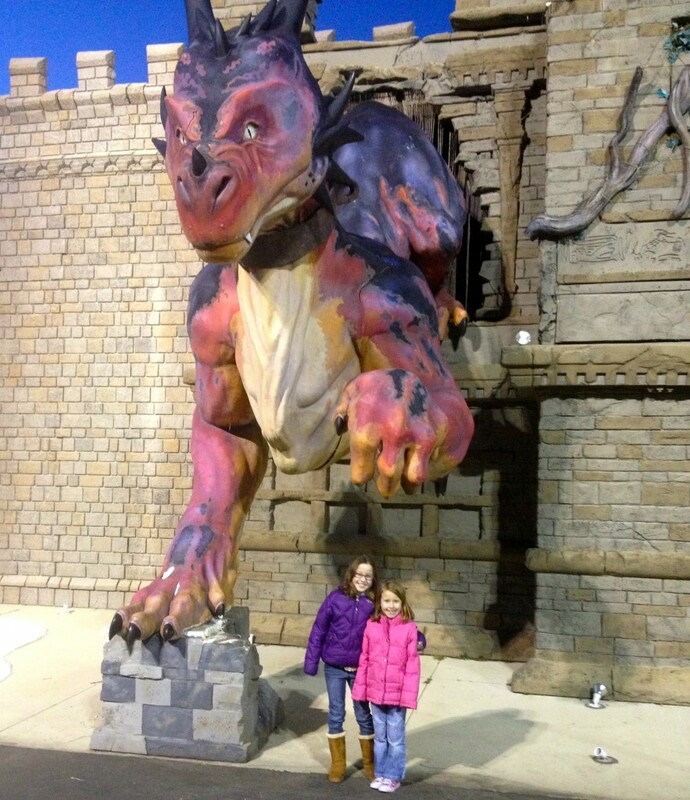 About a month ago, my sister and I had a girl’s weekend at Cedar Point Halloweekends. We had a great time riding roller coasters and checking out all the fun a Halloween attractions. I was surprised how much there is to do with kids. Of course, if scary is your thing, than you will want to check out the many Haunted Houses and outdoor scare zones. I am having a FLASH GIVEAWAY four-pack of tickets! That’s almost $200 in prize value. The giveaway is only open for 24 hours and you could use the tickets as early as Friday night 10/17/14. Here are just a few of the fun items for younger kids. Howl-O-Palooza returns, but it’s bigger and better than ever! Enjoy an expanded area filled with activities just for the little ones. Open Saturdays & Sundays from 11 a.m. – 5 p.m.
Pony Carousel Just like the Cedar Point classic – but with live ponies! Trick-or-Treat Go “door to door” and receive treats in our own little town. Cornstalk Maze Can you find your way out of this mini maize maze? Pedal Tractors Climb aboard and pedal around the track! Haybale Maze The bales are stacked just high enough for a mini challenge. Pumpkin Patch Our patch is filled with pumpkins and ready for exploration. Mask Making Make your own silly, crazy or spooky mask! Foam Pit It’s sudsy and bubbly! Please note that the tickets are only valid this year, and the lucky winner only has three (3) more weekends to use them. Cedar Point is open on Friday nights (after 6 p.m.), Saturdays and Sundays now through Nov. 2, 2014. The giveaway ends on Friday (10/17/14) at 11:00 AM EST. The entry form will only allow me to end it at midnight but I will manually close the giveaway at 11:00 am on Friday. That way the winner will be notified in time to take advantage of these tickets. Just click the button below to enter. I made this one super easy plus you get a bonus entry if you like the facebook page. How would you like a chance to win one of ninety-five Vera Bradley Campus Backpacks ($109 value!) being given away! Through July 9th at 9PM ET, all you have to do is enter your email address here for a chance to win. There will be 95 winners and each winner can pick a backpack with either the Pink Swirls, Ziggy Zinnia, or African Violet pattern. The winners will be chosen via a lottery drawing on July 10th and notified via the email address they used to enter. Don’t miss your chance to win a Vera Bradley backpack! Disclosure: I am a US Family Guide Blogger and was supplied tickets in exchange for this post. Opinions are my own. My family loves Legos and we are so excited that the LEGO KidsFest is returning to the Suburban Collection Showplace in Novi, MI, April 25 – 27, 2014! I am not sure who is more excited me or the girls. LEGO Model Museum – Walk among miniature and life-size models, built entirely of LEGO bricks. Be sure to bring your camera – plenty of cool photo opportunities abound! LEGO Movie – Citizens of Bricksburg unite! Join Emmett and Wyldstyle to defeat Lord Business from taking over the world. As Master Builders your imagination & creativity are needed to build extraordinary vehicles and stop Lord Business. LEGO Mixels -Meet the Mixels! These mischievous little creatures, who mix and combine in unpredictable ways, always seem to stir up crazy and hilarious adventures. Brick Battle Zone – Don’t just watch from the sidelines – be a part of the show! The Brick Battle Zone is full of engaging competitions and challenges where audience participation is a must. Relay Races, Tower Speed Builds and Bridge Building contests will excite, inspire and amaze all who rise to the challenge! LEGO Castle -Enter LEGO Medieval times and build with other Knights and Damsels to create a Kingdom and defend if from the evil Dragon Wizard and his fire-breathing dragon! LEGO Friends– Welcome to Heartlake City, home of the LEGO Friends! Their world and their story are yours to create. Build Heartlake City and immerse yourself in the story by adding the next adventure for the LEGO Friends – the possibilities are endless! Tickets are $20 for kids and $22 for adults. One of my readers will win TWO tickets to for the opening night session on Friday, April 25, 2014 (4-8:30 p.m.). I encourage you to LIKE and Follow LEGOKidsFest on Facebook, tag #LEGOKidsFest, follow on Twitter, and/or follow on Pinterest for all the latest ticketing updates. You must be 18 to enter and you can enter once per day. There will be a random drawing by USFG on Wednesday, March 26! Good luck and remember you can increase your odds be entering to win once per day! Don’t forget that today is the last day to enter this great giveaway! Fisher Nuts is launching a first-of-its-kind snack product — Fisher Nut Exactly — exclusively at Costco stores in the Midwest. This sweet yet savory snack contains no artificial ingredients and is created with the perfect combination of crunchy roasted almonds and whole grain popcorn, rolled into a snack-sized bite that’s dipped in rich 66% cacao dark chocolate. They sent us a bag to try them out and my family loves them so much that the 15 oz bag was almost gone in two days. We have been snacking on them while watching our favorite teams in March Madness. I love that their are no artificial ingredients. I checked the ingredient list and am happy to say that there is nothing on the list I can’t pronounce. Fisher Nut Exactly is available at Midwest Costco stores beginning today March 21. They are only available for a limited time and cost $6.99 (15-ounce package). They are available in the following states: Illinois, Indiana, Iowa, Kansas, Michigan, Minnesota, Missouri Ohio, and Wisconsin. Fisher Nuts gave me a prize pack to give away to one of you. The prize pack includes 1 package of Fisher Nut Exactly and a $50 Costco Gift Card! Enter to win below. You must be 18 years old and a U.S. resident to enter. Disclosure: I received a prize pack for my personal use and to sample. All thoughts and opinions are my own. 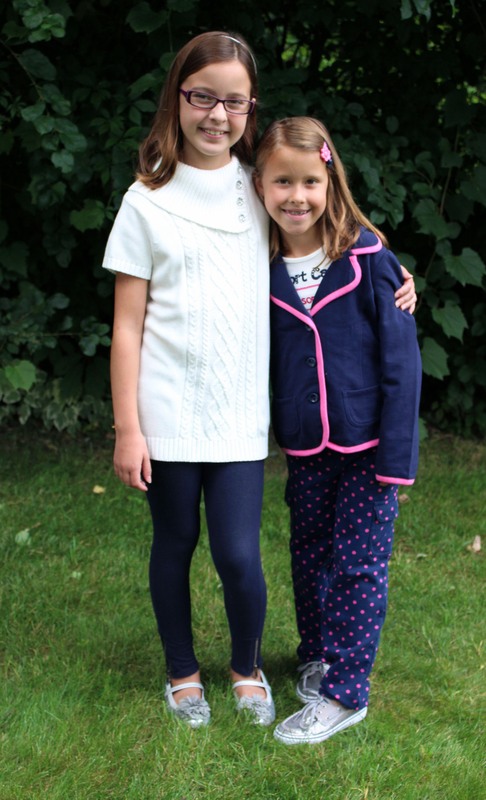 Congratulations to Amy C the winner of the bubble dress and matching doll dress! Don’t forget we have an exclusive Sweet Serendipity 20% off Coupon code good through 10/31/13. If you didn’t win be sure to pick up a dress at this great price! 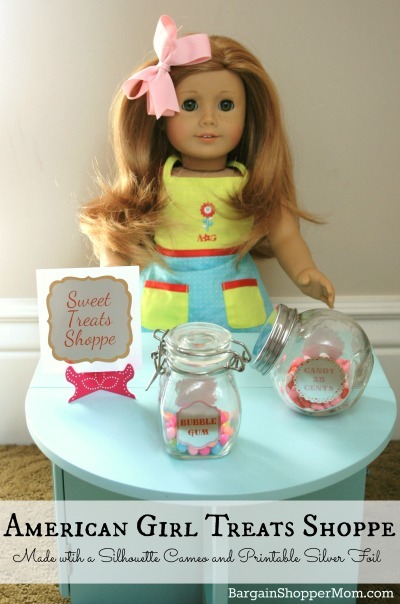 Sweet Serendipity is sponsoring a giveaway for Bargain Shopper Mom readers and one lucky person will win a Don’t Burst My Bubble dress and a matching girl doll dress! The bubble dress is gorgeous with a pop of neon at the waist and the skirt is fully lined with an enclosed elastic band at the bottom to create a full bubble effect. 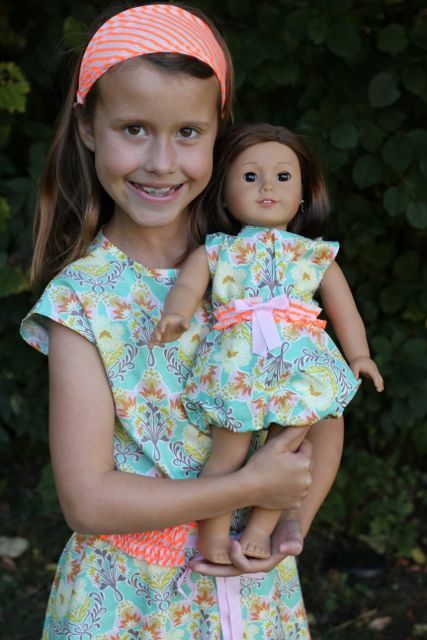 At Sweet Serendipity, you will find clothing designs that are playful with an eclectic mix of patterns, textures, and colors that will take your little girl from making mud pies in the backyard to eating crumpets at a tea party. Their lasting designs are durable and machine washable, and oh yeah, I almost forgot the most important part, they are made right here in the USA. I love that! Be sure to check out all their other super cute, unique and well made clothing. There is even a Sweet Serendipity 20% off Coupon code that you will find exclusively here! The details are what makes this clothing stand out and sets it apart from the every day. Every girl needs a few special pieces in her closet. So would you like to win a Don’t Burst My Bubble dress and a matching girl doll dress? It is easy to put your name in the running . Just enter the giveaway form below. It is required to leave a comment on this post below with your favorite piece from the Sweet Serendipity collection. I know it is hard to pick so you can even list more than one piece in your comment. Winner will be able to choose dress size. 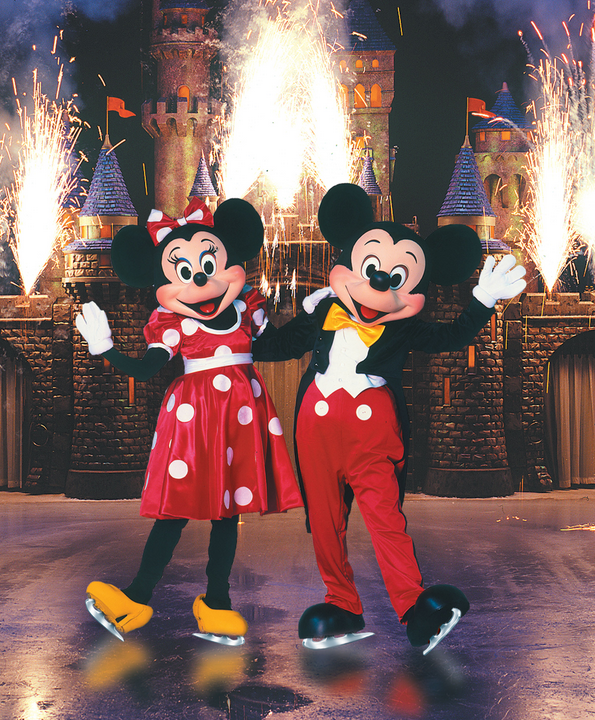 Today is the last day to enter to win FREE Tickets to Disney On Ice! We are huge Disney fans at our home and are super excited that Disney On Ice – 100 Years Of Magic is headed to The Palace in Auburn Hills. I know that taking your family to special events like this can be pricey so I have two ways to save. First off, here is a great discount code for Bargain Shopper Mom readers. Tickets are now on sale starting at just $20 when you use Disney on Ice coupon code MOM80. They are available for purchase at The Palace Box Office, all Ticketmaster outlets, online at ticketmaster.com, and by phone at (800) 745-3000. This discount is good on weekdays, which is defined as Mon – Fri matinees and also good on Sat, Oct. 19 @ 7:30 pm. The discounted tickets must be purchased in groups of 4 or the Disney on Ice coupon code will not work. This coupon is not good on Front Row and VIP. This fun video shows a little more about the show and helps you get you a feel for the Disney On Ice show experience. Thanks to Feld Entertainment, I’m also offering up to 4 tickets for Disney on Ice – 100 Years of Magic at The Palace of Auburn Hills to one randomly selected winner! The winner may choose tickets valid for one of the showtimes on October 16 or 17, 2013 at 7:30 pm ONLY. The winner will be announced on the widget after the giveaway is over. He/she will have the option to purchase more tickets in addition to the 4 if needed. In order to enter, complete the Rafflecopter widget below. This will not be visible on most mobile sites or via email. Be sure to visit the website directly. You must be at least 18 years old to enter and be willing to drive to The Palace of Auburn Hills for the show. Disclosure: I am a Feld Family Ambassador and am being provided with free passes for the purpose of writing this and future blog posts. The opinions expressed are my own. Don’t forget that today is the last day to enter to win! Today is the last day to enter to win a $75 Gymboree giftcard! Enter below. Bargain Shopper Mom Giveaway Week – Lots Of Prizes! Congratulations to all the winners of our great prize packs! All the winners have been emailed. If you didn’t win , remember we have some coupon codes and discounts you can use. 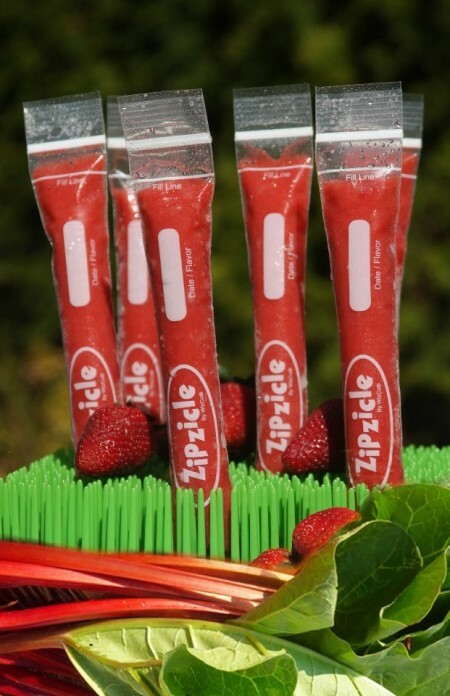 You can buy a Zipzicles pack for under $4 shipped! Catchingfireflies.com is offering Bargain Shopper Mom readers an exclusive coupon code for 20% off your purchase. Just use the coupon code BARGAINMOM at checkout. This coupon code is good through July 12, 2013. I See Me is also offering Bargain Shopper Mom readers an exclusive FREE shipping coupon code. Just use the coupon code SHIPFREE for free shipping on everything from iseeme.com. 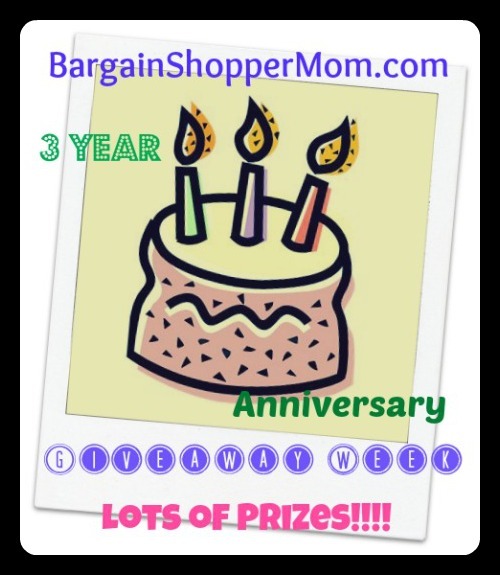 In celebration of the Bargain Shopper Mom 3 year anniversary, we are hosting a giveaway week. 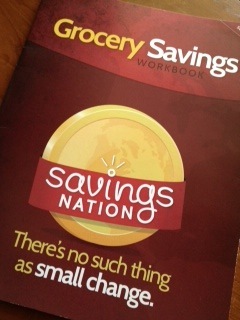 Live in the Metro Detroit area and want to learn how to save on groceries and learn how to coupon? Be sure then to enter this next giveaway. It is for a private Metro Detroit Coupon and Grocery Saving class. You will get the exact same class I teach to groups but tailored just for you and if you win and you can even bring a friend. I will hold the private session at a local coffee shop (within 20 minutes of Troy, Mi) at a mutually agreeable time. The value of the private class is $150 and I will even buy you a coffee. Wondering what you will learn at the private Metro Detroit Coupon and Grocery Savings Class? See exactly how coupons work, how you can use them to save at least 50% on your groceries, understand your stores’ policies, and keep all your coupons organized! Be sure to also check out all the other great giveaways as part of the Bargain Shopper Mom giveaway week. I am so excited about today’s giveaway! It is a $50 gift certificate to Aldi and there will be two winners. The gift certificates are provided by Aldi. Aldi’s prices are amazing so your $50 will go far! 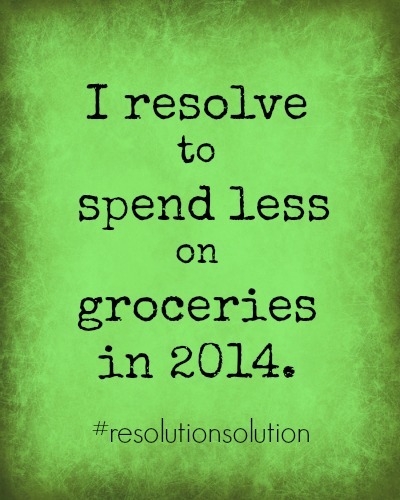 In all my Grocery Savings Classes, I always talk about how Aldi is a great way to save at the grocery store. They do not take coupons but they have very low everyday prices. 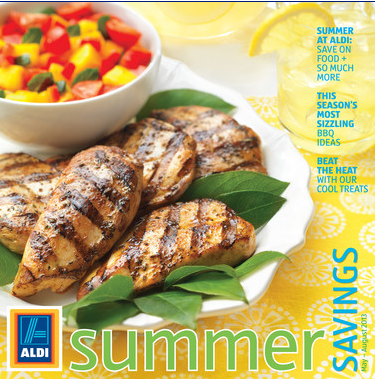 The ALDI Summer Seasonal catalog is available online through August and features a wide variety of Summer Seasonal items such as Parkview Griller Sausages, Sangriana Sangria and Benton’s Waffle Bowls, available exclusively during the summer months. The waffle bowls are just $1.69 for 10. 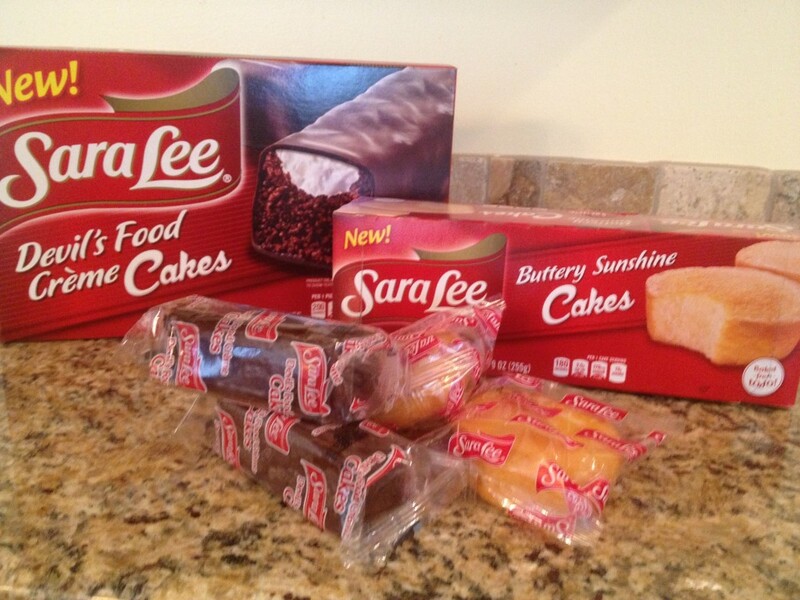 I bought some last week and my girls loved them. They thought it was such a treat to make ice cream sundaes in a waffle bowl. I loved the price. They were able to get the ice cream store feeling at a much lower price. I have not tried the Sangria yet but I look forward to sitting on the deck with a Sangria on a hot summer day. It is only $6.99 for a bottle. You can even grab some fresh fruit with Aldi’s great prices to mix in. Shopping at Aldi is no risk. They have designed and tested their brands to exceed the national brands in taste and quality and are so confident in the products that every item in their stores is backed by their unbeatable Double Guarantee. If for any reason you are not 100% satisfied with any product they will gladly replace the product AND refund your money. The Aldi website has lots of great looking recipes. This cake looks perfect for 4th of July and it is made out of ice cream sandwiches. Yum! Plus it only take 10 minutes of prep time to make. Cute, fast and easy. I love that. They also have some recipes for easy and tasty looking appetizers that would be perfect to bring to any summer get together. 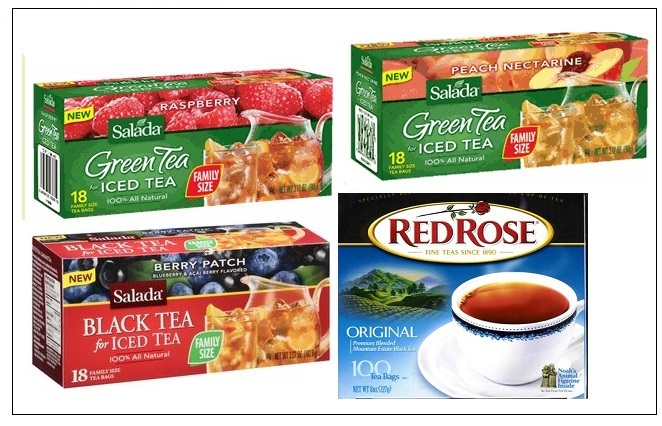 How would you like to win a $50 Aldi Gift Certficate and try out these great summer items? Just enter below.